Pioneer Tree Service does do TREE REMOVAL in the winter! 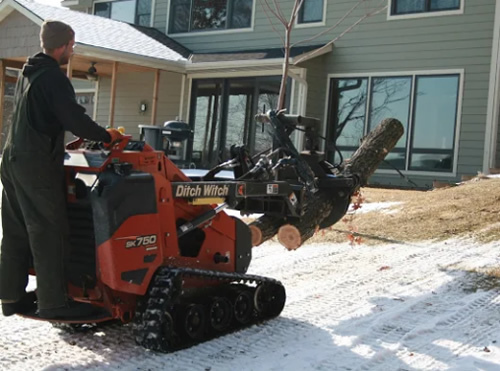 Although our equipment is meant for yards, still, winter removals tend to be easier on your lawn. And remember to get OAKS and other hardwood trees trimmed in winter to prevent disease. Call for a free estimate. 763-238-5254. Don't wait! The best time for pruning and trimming oak, ash and elm trees ends around April 1st. The certified arborists at Pioneer Tree Service are currently taking appointments for winter tree trimming in the Princeton and Cambridge areas. Winter tree trimming generally ends around April 1st, so make sure to get your appointment made soon before the winter season ends. Pruning dead or damaged branches now will promote healthy growth of your trees. Trimming your oak, elm and ash trees in the winter helps to reduce the risk of spreading some of the more common diseases affecting these trees, such as oak wilt.